Grown up tiger fans are not the only ones who want to look super cute on gamedays – your little Clemson Girls love dressing up on gamedays just as much as you do (if not more). Some of my close friends who grew up going to Clemson games with their parents tell me that some of their fondest memories were of getting all dolled up in orange and going to the games. 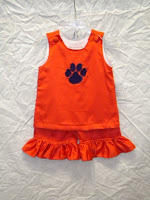 If you want your child to be the cutest tiger fan at the games, you must check out Kidsville Children’s Boutique in Powdersville for original, affordable, boutique clothing you won’t find anywhere else. Kidsville has been in business for seven years, but has recently come under new ownership by Clemson alum Marissa Torres Webster. Marissa and her family are big Clemson fans and she has been attending Clemson games ever since she was a little girl. And now with a little girl of her own, Marissa fell in love with Kidsville and wants other mommies to have a selection of adorable outfits, shoes, and accessories to doll up their little ones – but without breaking the piggy bank. Kidsville sells a variety of handmade, boutique clothing, gently used resale clothing, shoes, custom made hair bows, and so much more. Kidsville actually specializes in hair bows and will make hair bows to match your little one’s outfit for no additional charge! 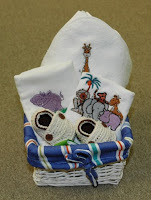 Kidsville is also a great one stop shop for baby shower gift ideas. 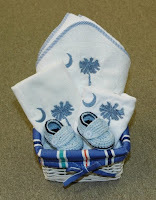 You can get custom gift baskets, diaper bags, burp cloths, hooded towels and so much more. Make the gift even more special by customizing it with monograms or embroidery – all done for you conveniently at Kidsville. The boutique offers monogramming on almost any of their items or any item you bring in. Get the Tiger Paw monogrammed or embroidered on any outfit or baby gift and turn it into an instant Clemson gift they won’t find anywhere else. Kidsville is the perfect place to find all you need to dress your little ones for this football season. Check out these handmade, crocheted booties Kidsville just got in stock. They come in a variety of colors, including Clemson colors (as pictured below). 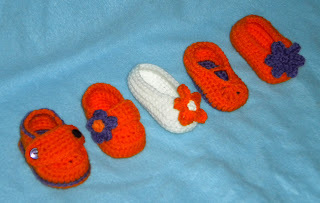 These would be great to keep your little Tiger fan’s feet cozy and warm for the cooler games. 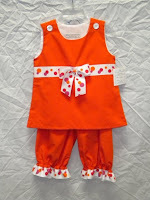 You can also get the cutest Clemson outfits at Kidsville. Make them even more special and get them monogrammed with your little one’s initials, or add a “Go Tigers” or “Tiger Cub”. How adorable are these outfits pictured below?? 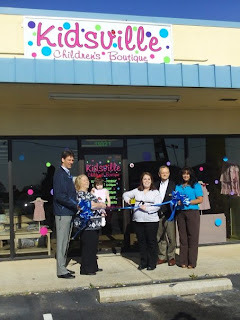 You can find Kidsville Children’s Boutique (click here for a map) by taking I-85 to Exit 40 towards Easley. Take a left at the second stop light and Kidsville is in 81 Plaza on your right. Many of you will pass by Kidsville on your way to Clemson this weekend. You can pick up your little one’s outfit or hair bows on the way! Visit them and become a fan on Facebook to see more outfits and accessories they offer and to keep up with their new items! 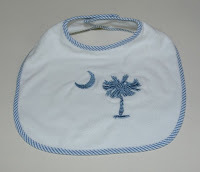 If you see something you like but can’t make it out to the store, call Kidsville at 864-269-0012 and place an order. They also have a Web site in the works (www.kidsvilleboutique.com) which will be up and running within a few weeks. SPECIAL OFFER: Owner Marissa Torres Webster would like to offer ClemsonGirl.com readers 15% off any one collegiate item in the store if you mention you found them on ClemsonGirl.com from now until September 30th!! So now you don’t have an excuse not to doll up your little ones for gamedays – please send us pictures of your cuties in these adorable outfits! We will share them on the blog! OH.MY.STARS! Those little booties are the most adorable things ever! I must have some for my baby!! What great timing! I've been needing some Clemson attire for my little Clemson girl! I will be checking them out!